Followers of our Ships’ Logs know one amazing benefit of traveling these waterways are the incredible people we meet. When traversing the New York State Canal System we’re in constant contact with the folks from Canal Corporation. They’ve made our sometimes arduous travels more enjoyable in countless ways. We’ve come to know many of them well, from the directors to the lock keepers, and consider them the best of friends. 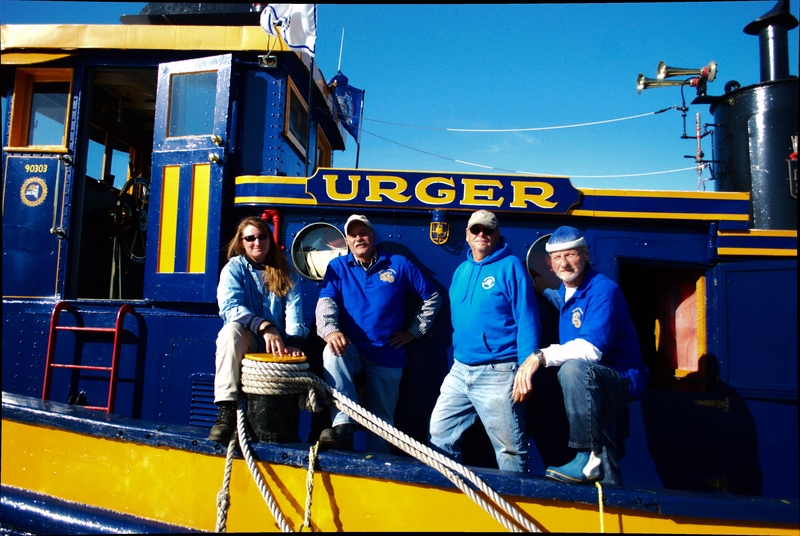 We had planned on seeing our friends on Urger for but one stop this year at the Tugboat Roundup in Waterford, NY. Hurricane Irene had huge impacts throughout our region with the Mohawk Valley being one of the hardest hit. Waterford went underwater to unprecedented levels prompting the cancellation of one of our favorite events. Sections of the Erie Canal were also devastated, trapping boats on both sides of the damaged locks and dams. Amazingly, thanks to Herculean efforts, Canal Corp predicts the opening of the east end of the Erie Canal in time for boats to head south for the winter. The Urger had planned to travel to the west end of the system for fall school programs but had to wait it out in the Waterford flight of locks where we had sat out another minor flood event last year. As both Lois McClure and Urger sat idle, waiting for waters to recede, we made plans to join forces and increase our school programming along the Champlain Canal. We reviewed both our programs and melded them into one comprehensive program. Visiting area schools would have a chance to see two historic vessels representing both the 19th and 20th Century. 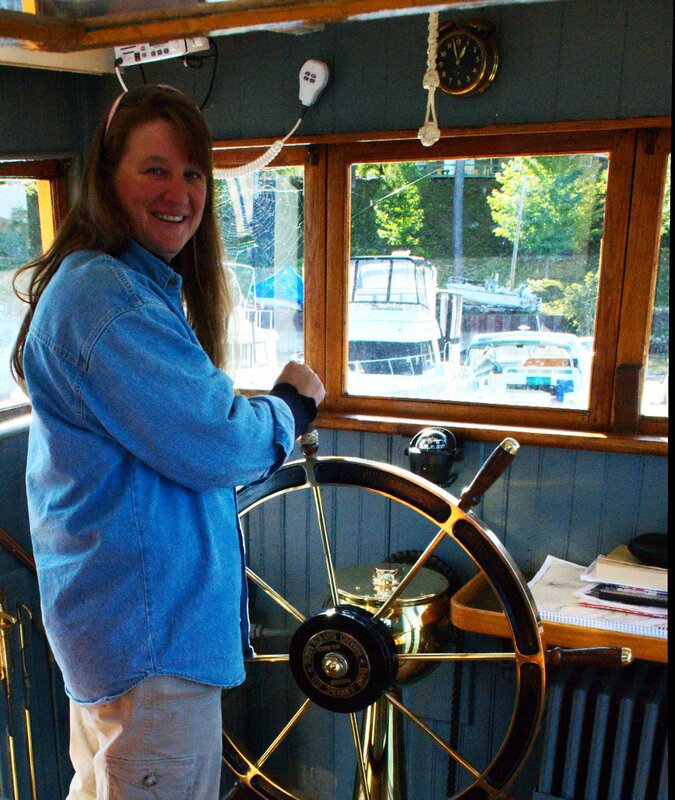 Wendy Marble is Urger’s new Captain this year, but she’s certainly not new to boats. Her love of boats started with her first job out of school crewing aboard another canal favorite the Emita II. She’s worked aboard the HMS Rose and Pioneer at South Street Seaport. For the past 9 years she’s been working for Canal Corp, most recently aboard tug Tender 6, supporting dredging operations in the Rochester area. Urger’s Engineer is Rick Marcellus. His career path is diverse with 30 years as a machinist and stints in off-shore lobstering and freighters. He started as a deckhand on Urger in ’08 and enjoys learning something new every day he’s on board. One of the incredible aspects of running Urger is she’s a bell boat. This means the captain must signal (by bells) down to the engineer to have him start the engine in forward or reverse and control the speed. Talk about trust! 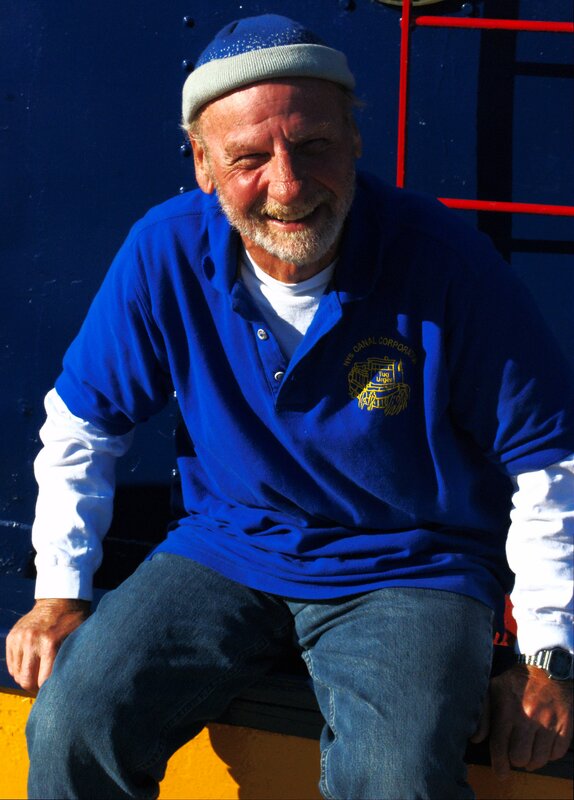 Mike Byrnes serves as Bosun. Mike got his start on boats in the Coast Guard where he served for eight years. 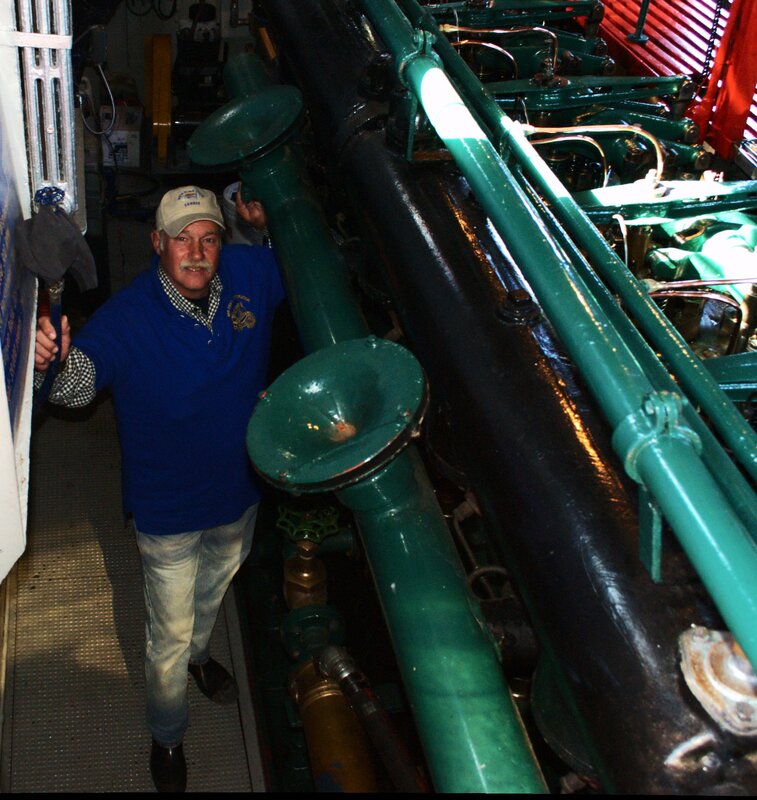 Boats run deep in Mike’s family blood; his dad operated tugs and his grandfather owned and operated canal boats! Mike loves sharing his mastery of knots with visitors. 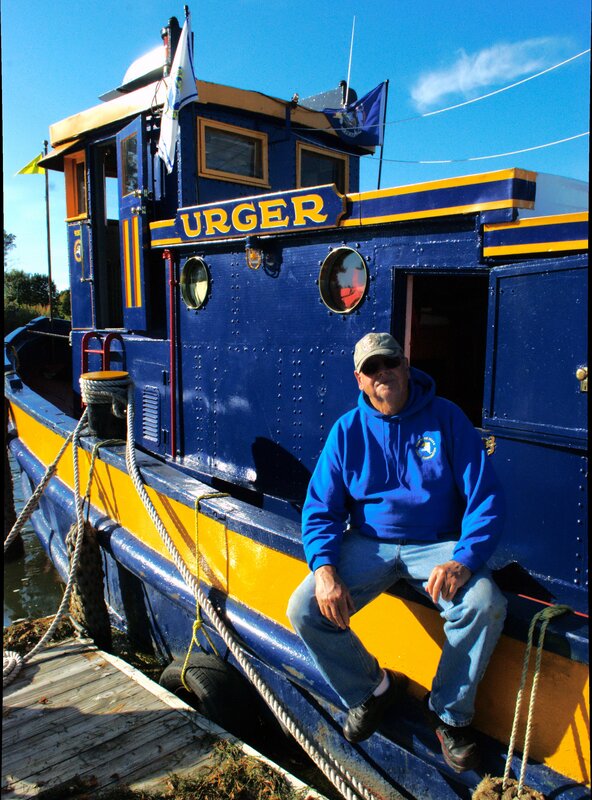 Gary Nelmes loves boats and kids so he figured being a deckhand on Urger is the perfect job! He too spent time in the Coast Guard and has owned and raced numerous sailboats. He’s spent lots of time coaching youth sports and enjoys sharing the Urger with kids around the region.